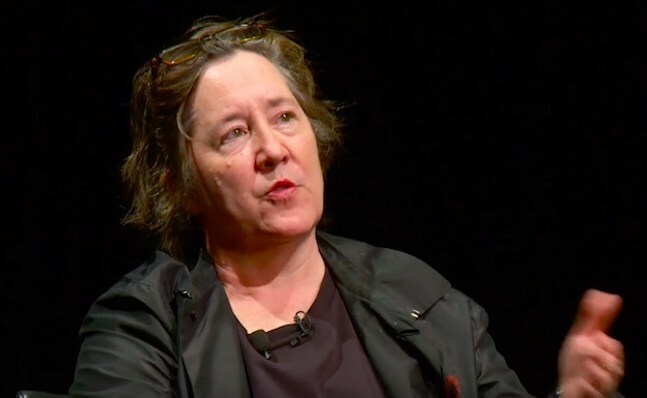 In this episode of Filmwax Radio we are visited by indie film producer Christine Vachon ("Boys Don't Cry", The Notorious Betty Page") who has partnered with such indie royalty as Todd Haynes, Todd Solondz and Kimberly Pierce to name just a few. With her partner Pamela Koffler, Christine established Killer Films which has had an amazing track record and helped keep indie films make it into the mainstream. Christine's latest producing gig is on the John Krokidas directed adaptation of Kill Your Darlings. The film stars Daniel Radcliffe in a career-changer and opens in New York on October 16th. Following that in segment two is my chat with Mark Covino, half of the filmmaking team behind the new "rock doc" "A Band Called Death". Though the film has already had its theatrical release, it is currently available on such digital platforms as iTunes and Amazon. It's being distributed by Drafthouse Films. Mark and I are joined by Earl Hackney, one of the Hackney Brothers, while not a band member, he is in much of the film. Earl recently made an appearance with Mark at a screening of the film at the Hell's Half Mile Film & Music Festival, not far from where the documentary takes place. Two tracks by the band Death are showcased in the podcast: Keep on Knockin' & Politicians in My Eyes. Their music is available for purchase off their website.